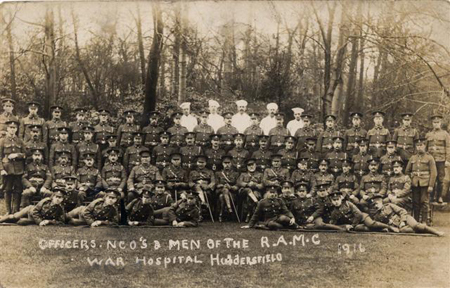 Huddersfield War Hospital, a dedicated war hospital set up to treat the service personnel of the Great War. It was split across three sites. 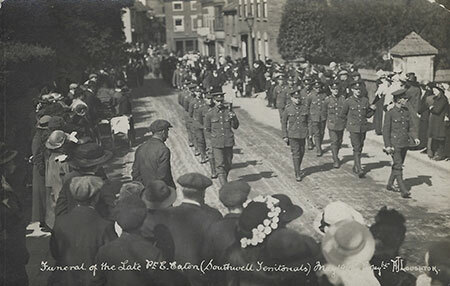 Many soldiers injured in the battle of the Somme came here for treatment and recuperation. 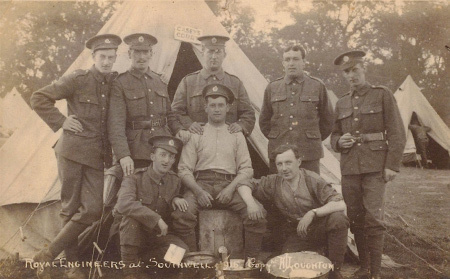 The back of this postcard has the inscription 'Meltham Mills War Hospital Huddersfield 1916 Fine front Row'. The officer commanding the hospital was Lt Col W.L.W. Marshall, R.A.M.C. 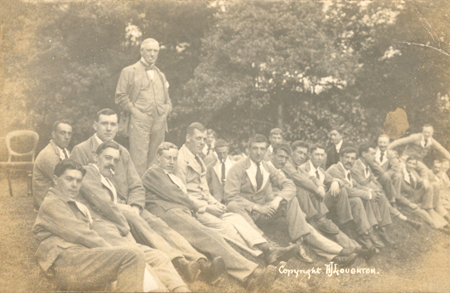 Officers, NCO's & men of the R.A.M.C pose in front of Alfred's camera.